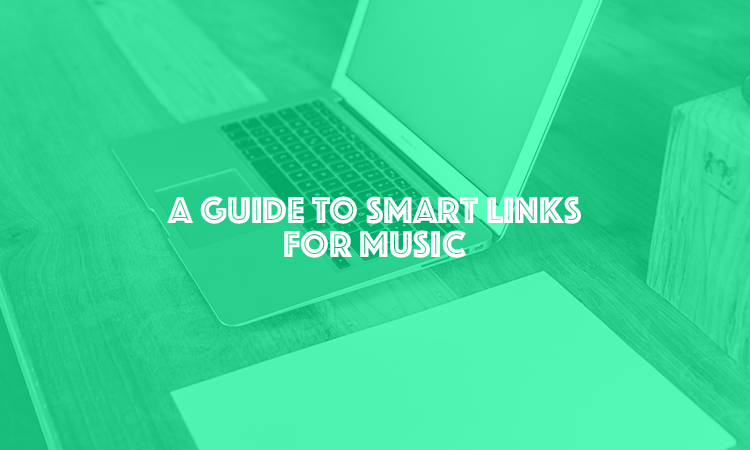 What are smart links, why you need them and how to use them effectively to drive more music sales. We first wrote this article way back in 2016! A great deal has changed with music smart links since then so we have updated the article below to include some key information that we think you should know. What are Smart Links for music and why should I use them? The internet has made the world a very small place. Even if you are making beats in your bedroom or recording from your mates shed, your fans can be anywhere in the world. 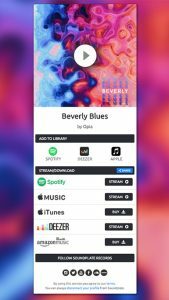 Smart links will help you make sure that when they find your music, they are taken to the right music download site and can shop in the right language / currency. A smart link can offer your fans a choice of store. It’s not just about making sure the shopping experience is good for your customers, it’s also an opportunity to track and monitor your fans. Find out which stores they like best, find out where in the world your fans are and keep track of your marketing. The advanced analytics that smart links offer let you see exactly how your fans are discovering your music. If you have ever wanted to know if your Facebook campaign is working or if you should stick to Twitter, this will help you find out. The music landscape has shifted and streaming is now more important than ever, smart links are the perfect way to increase your performance on streaming platforms with some even offering users to add your music directly to their playlists or pre-save / pre-add music before it has eve been released. What Do Smart Links look like? At Soundplate Records we have created Smart Links for all of our releases for many years. We have tried all the major smart link platforms but never found the perfect soultion, so we went a step further and built our own. This platform is called Soundplate Clicks and is now open to all artists. By using a smart link instead of regular links we can monitor the performance of our links much more easily, we also make sure that our fans are always sent to their local stores. The smart links we use allow us to learn much more about our fans, get in-depth reports about music performance and analyse our marketing efforts. You can also use Soundplate Clicks smart links to promote events to users who are viewing the link in a specific location, and to set up Apple Music, Spotify or Deezer pre-save campaigns! Another Major Benefit to using Smart Links: Saving Time. Smart Links save a huge amount of time, to get started you simply enter one link to your music in one store. The smart link provider will then scan all the other music stores for the same single or album and you then decide which of the stores to show on your landing page. When promoting your music you then simply share that one smart link instead of having to enter details for Spotify, Youtube, iTunes, Beatport etc separately. How do I create my own smart links? There are several providers that offer smart links for music. As mentioned above we use Soundplate Clicks but you can find several more in our directory. Some of the other providers I have been recommended in the past include: Linkfire, SmartURL, LinkRedirector and Hive. I’m sure there are several more services offering SmartURLS so if you have heard of or you are using another service please let me know by clicking here so I can include them in our directory. If you have found this useful, why not join our newsletter and stay up to date with our latest articles and resources?